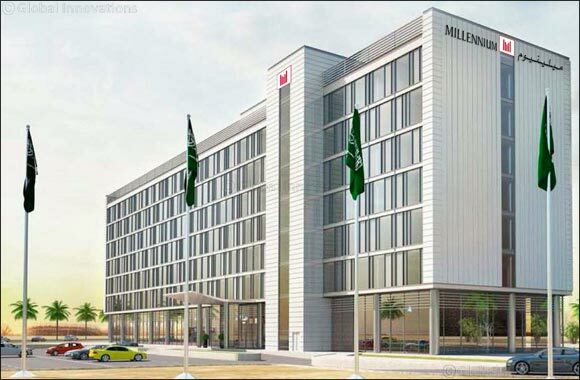 Saudi Arabia, June 25, 2018: Millennium Hotels and Resorts have furthered their expansion into the Kingdom of Saudi Arabia with the opening of Millennium Madinah Airport. Designed to provide pilgrims and visitors a luxurious accommodation in the city, the 5-star property features 227 magnificent rooms and is located at Prince Mohammad Bin Abdulaziz Airport. Situated 30 minutes drive from the center of Al Madinah al-Munawwarah, the “City of Prophet” and second holiest city in Islam after Makkah, Millennium Madinah Airport has also been designed for business ¬ – with four distinguished meeting spaces hosting up to 75 guests. Divided into categories such as Deluxe Room, Superior Room, Club Room and Executive Suite; the hotel features 227 rooms dressed in rich furnishings, warm colours and fitted with the latest amenities and technology. “We are confident that Millennium Madinah Airport will cater to all types of travelers especially now that new tourism attractions are being developed in line with the Saudi Vision 2030, which aims to increase the number of pilgrims and Umrah visitors. With our 5-star hospitality standards, we ensure comfort and ease for our guests, whether they are here on vacation, performing their religious journeys, visiting relatives or traveling for business,” concluded Al-Sabbah.